When it first became popular in the late 90’s decking was seen as a practical alternative to traditional paving. In many cases very little groundwork was required and it could frequently be installed over an existing patio. This means that a new deck could generally be installed at a more attractive price than other alternatives, which also helped increase its overall appeal. Decking was also initially thought of as a surface that required very little maintenance. Unfortunately it quite quickly became evident that in a damp climate, particularly if installed in a part of the garden that receives very little sunlight various problems could occur. Of course, any kind of wood externally will need some kind of protection to keep it from rotting, but with decking it can very easily become smothered with green and black algae which can become very slippery and dangerous. This is why decking cleaning and oiling is very much in demand in Bedford, Rushden, Northampton, Wellingborough & Kettering. 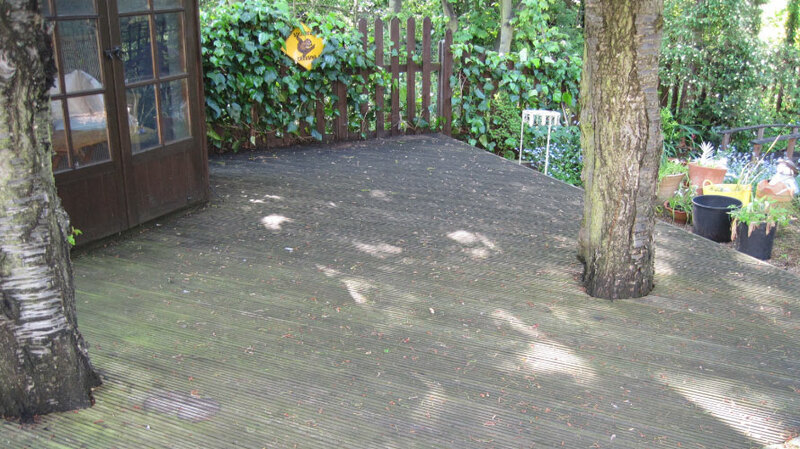 At Homecare Clean and Seal we have a specialist decking cleaning and oiling service in Bedford. We also carry out decking cleaning in Northamptonshire, Cambridgeshire, Bedfordshire, Hertfordshire and Leicestershire. One very important aspect cleaning a deck is to not pressure wash the timber to aggressively, this can damage the timber or leave ‘zebra’ lines on the surface. To make sure this scenario is avoided its best to pre-treat with a specialist deck cleaner that will break down the organisms within the algae and allow the grime and dirt to be easily removed. 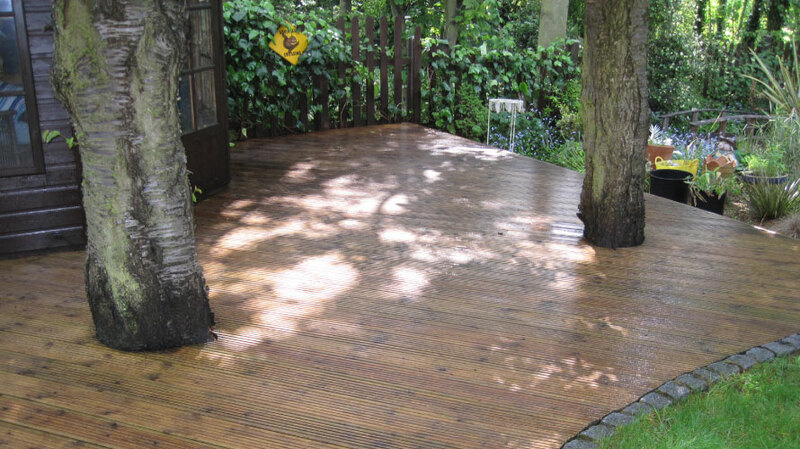 Once clean we would recommend treating the timber with a high quality decking oil. This is also a service that Homecare Clean and Seal provide. We are confident that we can clean and protect your deck and leave it transformed at an affordable price. Please call 07831 840720 or 01604 231199 or complete our online enquiry form if you would like a FREE decking cleaning quote. Looking for a Decking Cleaning Contractor?